"They were definitely good. I spent probably twice as much on my last roofing with a different company. I would tell others that they showed up on time, did the job completely and there were no problems." 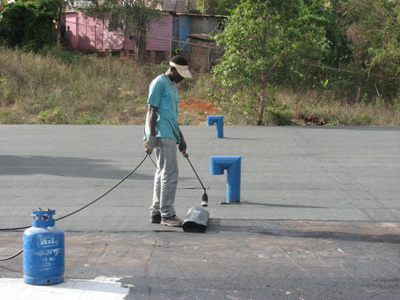 "From beginning to end, G & E Roofing and Construction Company Ltd. was 100% professional. Very impressive. After the damage done to our roof during large storms, we began looking for a roofer. We'd gotten several estimates, ranging from ridiculously low to absurdly high. But this company provided an affordable estimate, and followed through in every way. We'd use them again in a heartbeat." "We recently had a new roof installed on our home in St. Catherine's and have been very happy with the work. The workers did a great job cleaning up the driveway and deck. Not a single nail on the driveway! We have given recommendations to our neighbors who have not had their roof replaced." "I'm happy to give my comments, experience and recommendations to other potential clients. I had a really good experience. G & E Roofing and Construction Company Ltd. was very helpful in making sure I received the right roof. The work was done very fast and professionally." "We worked with them twice in 2012 to repair to leaks on slabs and shingles as well as construction of roofing on the back patio. We are very satisfied with the job. The Workmen were professional and cleaned up well and firm. They were very responsive to any observations we had. We would most definitely recommend them to others. It is very important to us that the teams show up when they promise to and also work is completed unobtrusively and efficiently." "Back in December 2012 we had them lay membrane to repair Decra roofing. The job was completed well ahead of my anticipation. Awaiting next shower of rain to test the work quality. I would certainly recommend them to others. I would also like to point out that they have great customer service."